Mendelson's Memos: Review: Red Hook Summer (2012) is Spike Lee's flawed-but-powerful return to highly personal film-making. Review: Red Hook Summer (2012) is Spike Lee's flawed-but-powerful return to highly personal film-making. 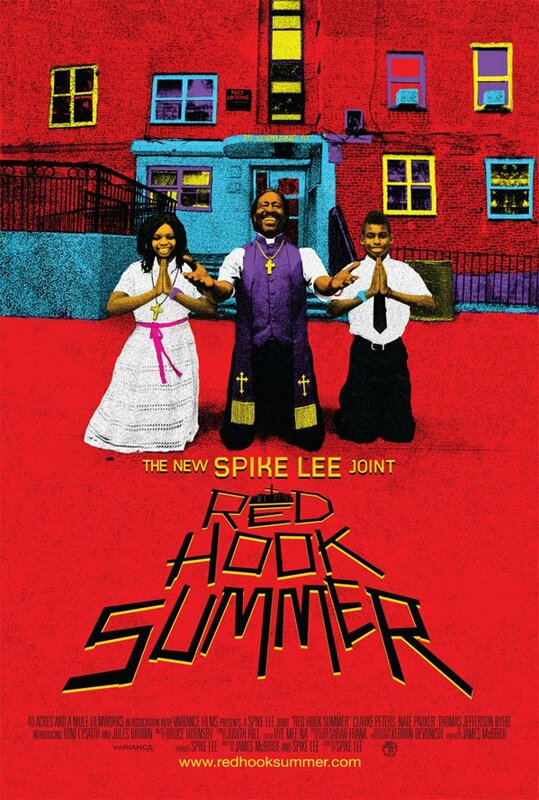 Red Hook Summer, Spike Lee's first theatrical feature since The Miracle at St. Anna in late 2008, arguably intends to be a return trip to the world of Do the Right Thing, which put Spike Lee on the mainstream map twenty-three summers ago (and still remains among his best films). While this is just one of several trips to Brooklyn (along with She's Gotta Have It, Do the Right Thing, Crooklyn, Clockers, and He Got Game). the appearance of Spike Lee's Mookie still delivering pizzas two decades later is surely meant to inspire a certain connection to that 1989 classic. The new picture operates less on a mediation on racial tension and class resentment and more on the damage the African American community has allowed to do to itself in the post-Reagan era. The film barely qualifies as a feature, existing more as a series of speeches and/or literal sermons than any kind of traditional narrative. But as a personal statement, it marks Spike Lee's return to openly provocative cinema after a decade of (often superb) documentaries and (occasionally terrific) mainstream studio fare. The use of digital video, with bright colors so rich they threaten to bleed out of the screen, signifies an elder statesman giving up on the idea of becoming truly mainstream and just saying everything he has to say come hell or high water. That the film barely works as entertainment is undeniable, as the film takes far too long (even in a 14-minute shorter theatrical cut compared to what played at Sundance) to get where its going. "I want to speak. This is more important than winning an Oscar," Lee seems to be saying in a metaphorical paraphrasing of a climactic season one episode The West Wing. Warts and all, Red Hook Summer operates as a thesis statement on the state of communities like the titular Brooklyn neighborhood. What little plot there is concerns a young man (Jules Brown) being sent by his mother to spend the summer with his preacher grandfather (a fiery and scenery-chewing Clarke Peters). Young Flik Royale is from a relatively comfortable middle class environment and the culture shock of living in 'the projects' is not lost on him, even as he spends much of his time hiding behind the screen of an iPad. Two narrative conceits are left unexplained, both why Flik's mother sent him to live with Bishop Enoch Rouse in the first place, and just what motivates him to use said iPad to make a documentary about the people he encounters. Said documentary gives the film an excuse to turn into a series of conversational pieces that often end up being extended monologues as one character after another waxes poetically about various problems they see in and around the community. What gives the film its kick is that the people complaining about poverty, pollution, drugs, and the like are those actually victimized by it. This structure surrounding these 'mission statement' speeches is actually surprisingly similar to Mario Van Peebles's We the Party (review) from earlier this year. Both films basically amount to an elder statesman of the African American filmmaking community shooting on a shoe-string budget what amounts to a thesis statement about the current African American experience. In short, We the People (which has just been released on DVD) has a more successful narrative while Red Hook Summer has a more profound emotional impact. Both films involve extensive monologuing, with the latter including what basically amounts to three full-length sermons from Bishop Rouse. It has been theorized elsewhere that Red Hook Summer is a quasi-answer film to the work of Tyler Perry. The two filmmakers aren't exactly close, and at times Red Hook Summer's theology-drenched atmosphere seems almost like Spike Lee trying to play in the Tyler Perry sandbox without Perry's weakness. If that is the case, the irony is that this picture ends up being relatively inferior to at least the upper realms of Perry's work (The Family That Preys, I Can Do Bad All By Myself, For Colored Girls), as Perry is often able to work similar ideas (philosophical, practical, and theological) into a genuine narrative. It can be debated whether melodrama is better than no drama at all, and Red Hook Summer threatens to fall into the latter category for much of its running time. Besides, only a few Tyler Perry films are defined exclusively by their religion-drenched morality. Still, as someone who thinks that a feud between Spike Lee and Tyler Perry helps absolutely no one, Red Hook Summer is far more of a Spike Lee Joint than a Tyler Perry riff (I'd like to think they can co-exist). At its best, the picture has an almost Chabrol-ian sense that something is waiting to snap in a bad way, giving the film's almost lazy pacing a quasi-suspense. And indeed there is a token plot advancement in the final fourth of the picture, which both feels surprising and completely fair. The aftermath of said plot thread puts several major characters in a new light, while also employing one of the more effective uses of Lee's famous floating dolly shot. Whether the pay off is worth the set up is debatable, but by the time the credits roll it's clear that Lee has neither embraced old-time religion as a foolproof template for morality nor has he derided spirituality as fraudulent. Instead Lee, always more clinical, humanistic, and emphatic behind the camera than he seems when speaking to the media, emphasizes that faith-based words of morality and discipline are meaningless without behavior that matches. It's not a revolutionary idea, but it signals an older Spike Lee who has seen fit to play a Bill Cosby of sorts, lecturing his own community about what they can do better or have done poorly. Red Hook Summer works better as a personal statement than as a feature film, although its thematic clarity and thoughtfulness indicates that Spike Lee still has lots to say as he nears a later stage of his career. It's nowhere near his best film, but it feels like his most personal theatrical work in a decade or so. Red Hook Summer is a solid and often fascinating return to a very specific form from one of our most interesting filmmakers. Warts and all, it's a keeper. I'm curious as to what your top 3 Spike Lee films are? The top two are Do the Right Thing and Malcolm X, hands down. As for a third favorite, it depends on my mood. Assuming we're not talking about his documentary work, it's either Clockers or Get On the Bus for me. ugh. this film, and the execution of it (as you point out) is so far beneath a director of lee's character. glad you found some bright spots in it though. 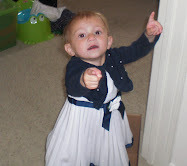 Click here to Get Information about Latest Movies and enjoy it. Red Hook Movie is directed by Spike Lee. Spike Lee is one of the best Movie director. He make a Movie in one of the best Way.